On the face of things, Narendra Modi has failed variously and spectacularly as India’s prime minister. After pledging to create millions of jobs, he has -- according to a leaked government report -- presided over a dramatic rise in unemployment among young Indians. Vowing to vanquish terrorism, he took most currency notes out of circulation and cracked down hard in the state of Jammu and Kashmir. Kashmir has since witnessed a sharp spike in militancy and its biggest terrorist attack in years. Swearing ferocious vengeance against Pakistan, Modi has had to resort to dubious claims about destroyed terrorist camps and hundreds of dead Pakistanis in order to appear a man of his word. Indeed, in an effort to back up claims that India’s economy has grown faster under his leadership than under his predecessors, his government has even imperiled the credibility of India’s official data. Yet, it seems likely that Modi will return to power next month at the head of a coalition government. What explains his Teflon premiership? Arguably, it’s the same thing that propels other masters of generating slick, seductive and unreal narratives such as US President Donald Trump and Instagram megastar Kylie Jenner. Unquestionably, his impassioned assertions -- whether about his 142-centimeter chest, his poverty-blighted childhood or his loathing of entitled dynasts -- belong to an unabashed and noisily democratic culture of exhibitionism rather than to the cold and forbidding climate of autocracy. It’s hardly surprising then that Modi has sustained his electoral appeal largely through overhyped “surgical” strikes on Pakistan (eulogized recently in a Bollywood-style music video that has gone viral) and sensationalized reports of mass casualties, or that his fans are never more energized than when attacking beef-eating Muslims, liberals and other allegedly “anti-national” Indians. To grasp the singular phenomenon he represents, the analytical tools of political science, history, sociology and psephology no longer seem enough. They have to be supplemented with what we possess only in underdeveloped form: an anthropology of our digital age. 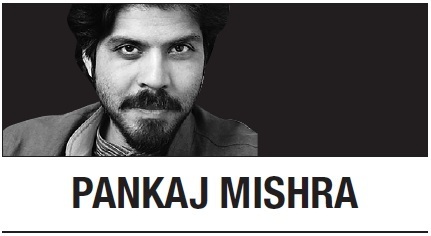 Pankaj Mishra is a Bloomberg Opinion columnist. -- Ed.